The romance genre has also had a long and illustrious (hee-hee) history with art. I remember reading my mother’s old romance comics when I was staying at Grandma’s – it really was my first introduction to romance. The images used to be so ubiquitous that they showed up in mainstream art, as well. You can’t google “Roy Lichtenstein” without seeing the influence of romance art on his work. The cross-fertilization between the arts fascinates me. Romance and fashion are a natural pairing; many writers use playlists, and many musicians also work in the visual arts. In general, I think we here tend to think of the story first, and then the art, but what would happen if we reversed the process? I think it could be an interesting exercise in creativity. This entry was posted in Publishing and tagged Action Stories, art as writing inspiration, cover art, crossfertilization of creative fields, E.M. Duskova, Margaret Brundage, Michaeline Duskova, pulp covers, Weird Tales, writing inspiration, Young Romance. Bookmark the permalink. 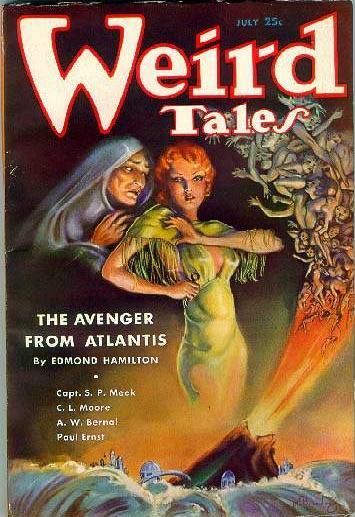 I spent a lovely couple of hours today looking at pulp magazine covers, and it’s not just the cover stories. The other featured stories are often from bizarro land as well! Such a lot of imagination! I’m trying to figure out where the creativity is these days. Maybe on the Archives of Our Own and other free writing platforms? 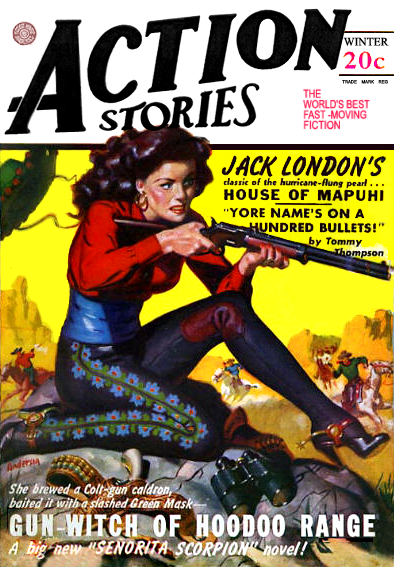 The thing is, in the 20th century, the publishers would curate the stories so there were certain standards. A lot of the fiction sites these days are just slush piles; self-curated by fans and members, so a four-star out of five rating could mean a good story, or it could mean a “buzzy” story that just hits a meme. There certainly is a lot of imagination out there, though! Only tangentially related, but back in my adolescent-poetry-days, I used to use images from artsy-greeting-cards as inspiration. I have a whole notebook full of cards and the poems they inspired. 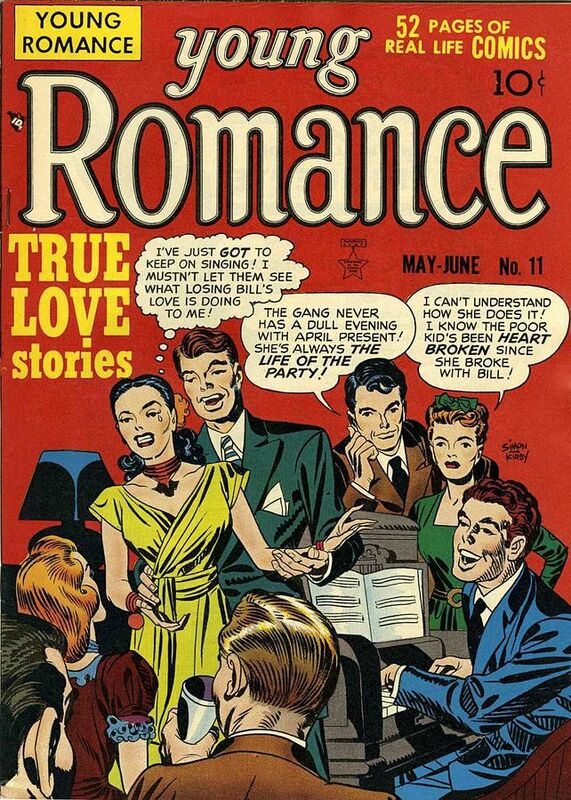 (-: I think they may have some romance comics digitized somewhere. Jenny would probably know. When I was an adolescent, we went to summer camp in the Big City, which had a fabulous card and stationery store called Avant Card. They had those artsy greeting cards, too! Roy Lichtenstein, and also black-and-white pictures of young children kissing and exchanging roses (often hand colored red). I loved that place! I feel like those were the days — people could make a living writing, and creating art. Maybe I’m looking at it through a rosy filter. People still make a living writing and creating art, but it all seems so much slicker now. (-: Except for self-publishing. Self-publishing is a grab-bag from amazing to amateur.